We are a team of industry leaders. As practitioners, we firmly believe in comprehensive care. As innovators, we provide this care with the most up-to-date technology, knowledge, products and services available. As people, we value each one of our patients and their individual needs. Our practice is proudly independent and South Australian owned and operated. Part of a long legacy of optometry in Adelaide and surrounds, we welcome generations of family members as they continue in our care. Jane is our Optical Curator and resident ‘ray of sunshine’. As an Optical Curator Jane is solely responsible for our fashion-forward, exclusive and quality range of frames. 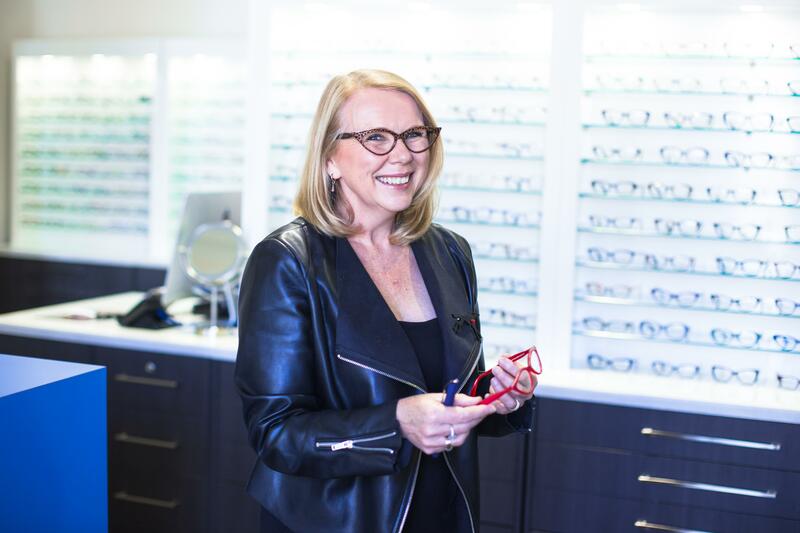 She has an eye for detail and makes selecting the perfect frame for you and your prescription a breeze. Jane spent 7 years as the Practice Manager of North Terrace Optometrists and will be the smiling face welcoming you in to our practice most days. We’ve made it super easy to schedule your next appointment with our online booking system. Just pick a location above and click the "Book Online Now" button.